Handdrawn with black pigment ink on watercolour paper. 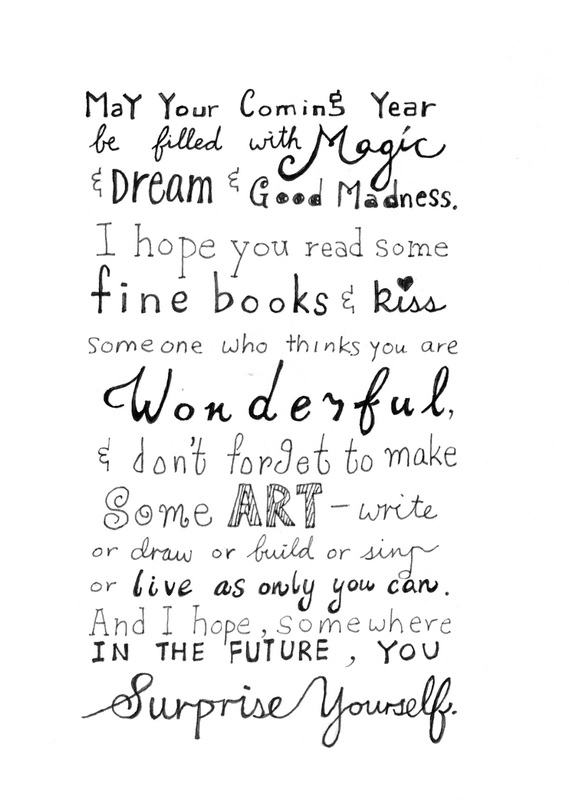 "May your coming year be filled with magic & dreams and good madness. I hope you read some fine books and kiss someone who thinks you're wonderful, and don't forget to makes some art - write or draw or build or sing or live as only you can. And I hope somewhere in the next year, you surprise yourself".